Select a contact from the list below across the different departments and levels. Sign up for a Free data.com Contacts by Jigsaw account and get instant access to business contact information. Don't see the business contact you are looking for at Boardwalk Auto Group? Search our database of millions of business contacts. Apparently, Boardwalk Auto Group is not properly screening applicants and is not taking the safety of their clients and reputation seriously. Why would anyone do business with a company employing a man who has made false allegations of being stalked and who solicited an adjudicated pyramid scheme long after the court case against the Better Business Bureau of Dallas was lost and it was obvious 98% of the marks were losing money? He was also involved in a stranger-owned life insurance debacle, bogus charity and a chapter 7 bankruptcy that he suddenly asked to be dismissed when the Department of Justice launched an investigation into possible bankruptcy fraud and demanded detailed financial records for. Many lost thousands and thousands of dollars to this scammer they could not afford to lose while he spouted off Bible verses in order to empty their pockets. His true colors have definitely shown through. The local news channels should expose this! So, before doing business with Boardwalk and Weinzierl folks should read these threads. The actual court documents and Jack's own words are there, with much more to come. Be safe and check things out before you part with your hard earned money! Jack Weinzierl Multi-million Dollar Earner or Destitute Ding-a-ling??? Scammer Jack out where he can terrorize the customers:Boardwalk Scammer Jack Weinzierl.jpgBoardwalk Scammer Jack Weinzierl 2.jpgBoardwalk Scammer Jack Weinzierl 3.jpgBoardwalk Scammer Jack Weinzierl 4.jpg Are the religious nuts from Advantage Conferences going to come and save unsuspecting customers. I'm really not a salesman. I am terrible at closing. I just don't do it. I've been in the business long enough to learn everything you shouldn't do, so when I'm talking to someone about getting into the business, I really try to scare them out of it. And a few people decide it isn't for them. But if someone is considering it, I'll tell them to think about it for a few days. Pray about it with their spouse. It can be a very lucrative business opportunity. But anything worth doing is worth prayerful consideration. Jack also says his faith plays an important role in his business dealings. It used to be that people were hesitant to let their faith come to the forefront of their business, he said. But really, I think it's ridiculous to separate one's faith from their business. We are walking our talk every day in our Christ-centered business and life. The Bible twist method of luring in customers might not be so great in a car dealership with savvy people who are quick to smell a rat will get offended and walk. Your walking your talk left you, Jack, stiting high on the hog while 98% lost money. Many of them lost thousands and thousands of dollars to you. Perhaps, in addition to the yearly toy drive, the dealership can host a food and clothing drive for your many victims that are in desperate need. You could publicly apologize for continuing to push that scam long after you knew it was adjudicated to be a pyramid scheme and almost everyone was losing money hand over fist. Brian Ongaro joins Boardwalk Auto Group as Vice President of Sales and Marketing. Brian Ongaro joined Boardwalk Auto Group on the heels of directing a Columbus, Ohio-based dealership group that included Lamborghini among its nameplates. I’m going to examine the entire Boardwalk sales process to determine how we can make it a greater overall experience for each customer. Automobile retailing is among the most complex processes on the business landscape. Its components and dynamics—buying, selling, sourcing, service, technical expertise, and relationship building—are constantly in flux. That’s why it takes a unique set of skills to manage its intricacies and implement strategies to effectively grapple with its challenges. As vice president of sales and marketing for Boardwalk Automotive Group, Brian Ongaro possesses those uncommon capabilities. Brian Ongaro joined Boardwalk Auto Group on the heels of directing a Columbus, Ohio-based dealership group that included Lamborghini among its nameplates. But like Boardwalk Founder Scott Ginsburg, the weight of Ongaro’s experience was earned in broadcast media. After joining Ginsburg at Chancellor Media Corporation in 1997, Ongaro was appointed executive vice president and market manager of AMFM, Inc.’s station group in Dallas–the nation’s fifth largest market in terms of revenue. In 2002 he was tapped as the executive vice president for CBS Radio, overseeing their large markets radio stations in the western region. With 28 years in broadcast management, Ongaro brings a wealth of organizational management and innovative marketing experience to Boardwalk. “I’m going to examine the entire Boardwalk sales process to determine how we can make it a greater overall experience for each customer,” he says. His focus will be on the abundance of rapidly developing opportunities in the digital space, especially in social networks connected via portable devices. He will also be focused on reputation-marketing strategies to rapidly address customer concerns. “There are a lot of other unique opportunities that haven’t been adequately explored yet,” he adds. A native of Columbus, Ohio, and a graduate of Ohio State University, Ongaro’s business philosophy is focused on taking care of customers. Ongaro wants to make Boardwalk Auto Group the first place people think of when they are considering buying or servicing their car. Exceeding expectations is the goal. He also wants to be recognized as one of the best places to work in DFW. Boardwalk Auto Group is one of the premier auto groups in the nation representing Audi, Ferrari, Lamborghini, Maserati, Porsche, or Volkswagen, Boardwalk is here to serve you. Performance. It’s what we do. Learn more about and connect with Boardwalk Auto Group at http://www.BoardwalkAutoGroup.com and at Boardwalk Auto Group | Facebook. I take it this is Weinzierl's boss. So, the customer will get a heaping helping of Jack's twisted bible rants, veiled and not so veiled threats and of course his version of the truth. Reputation-marketing a la Weinzierl???? Perhaps Ongara and Boardwalk's valued customers shoud see some of Weinzierl's best work! Tim Darnell The time is already here. It is a time where Believers and Non-Believers are so distinctly divergent in their views that multiple battles are taking place on many fronts all over the world. I vividly see distinct battle-lines as Founder of a boldly Christ-centered business that functions in a secular marketplace. And I believe the divide is going to become more pronounced and confrontational for both sides in the very near future. On the Internet, lies are the essence and substance of the attacks. In my case, one such attacker, a Heather Dobrott from Garland, Texas, has literally and physically stalked me and my top Representative, Jack Weinzierl, for over two years now.We only now know her name after she called many of our Guest Mentors, hotel management, our Pastors and Staff of our churches. This has gone on for literally years, although she finally made the mistake of leaving her real name and contact information with one of our speakers. She’s made defaming my name and character, including several of our top business associates, a career path. I’m still mystified by her hatred and obsession, but it is indeed the reality we’ve experienced. After months of legal wrangling, Jack Weinzierl and Tim Darnell were not able to provide a single false statement made by me. There isn't one, but those desperate scammers would do anything to silence their critics. They resorted to fabricating that they were being stalked and receiving death threats, filing frivolous suits, making veiled and not so veiled threats. Jack and Tim were selling spots in their adjudicated pyramid scheme for $10,000.00 a pop to the destitute, desperate, elderly and devoutly religious knowing that 98% would lose money they couldn't afford to lose. Many were out thousands and thousands of dollars they could not afford to lose, but scammer Jack Weinzierl just kept raking in those $7,000.00 checks while his victims were ruined financially. The losing, frivolous suit against the BBB says it all. Advantage Conferences was a pyramid scheme and Jack Weinzierl was the scammer-in-chief who made atypical and very misleading earnings claims. Let's take a look at what Jack Weinzierl was sending out to thousands of candidates in his autoresponder. This kind of marketing practiced by Jack Weinzierl is totally sleazy and unethical. The following documents are exhibits from the District Court case in Collin County. Tim Darnell and Jack Weinzierl used these misrepresentations to defraud hundreds of people. It was Darnell's fifth conference scam. Advantage Conferences and it predecessor imploded into bankruptcy. 98% of the reps lost money. Many of those were out thousands of dollars. Folks lost their life savings, went hungry, drowned in credit card debt, spent retirement funds, took out loans and / or faced foreclosure. Not one millionaire was created. AC sued the Dallas Better Business Bureau and lost. This adjudicated pyramid scheme and its scammers-in-chief kept the doors open long after knowing almost everyone involved was being harmed financially. Jack Weinzierl was mentored straight into chapter 7 bankruptcy. In 2002 he was tapped as the executive vice president for CBS Radio, overseeing their large markets radio stations in the western region. PHOENIX -- A federal grand jury in Phoenix returned a 33 count indictment against David Goldfarb, 58, of Scottsdale, Arizona; Richard Ross, 67, of Scottsdale, Arizona; Paul Woodcock, 60, of Scottsdale, Arizona; Milton Guenther, 51, of Phoenix, Arizona; James Bonebrake, 59, of Cave Creek, Arizona; Raymond Marshall, 57, of Frisco, Texas; Brian Ongaro, 48, of Frisco, Texas; Mike Ibler, 54, of Sweethome, Oregon; Colin McHale, 40 of Scottsdale, Arizona, for a violation of Mail Fraud, Conspiracy and Money Laundering. The indictment alleges that from May 2001 through June 2003, David Goldfarb, Richard Ross, Paul Woodcock and Milton Guenther operating as CORF Licensing Services (CLS) contracted with over 300 licensees to establish outpatient facilities mainly providing pulmonary respiratory therapy and physical therapy services. These individuals marketed the concept through ads, website and seminars wherein the financial benefits of owning and operating a facility of this kind were grossly misrepresented. Prospective licensees paid anywhere from $100,000 to $165,000 to enter a contract with CLS for various services associated with getting these facilities up and running. The indictment further alleges that as part of the scheme to defraud, the prospective licensees were referred by the principals of CLS to James Bonebrake, Raymond Marshall, Brian Ongaro, Colin McHale and Mike Nibler, CORF owners. It was part of the scheme that these referrals were paid by Goldfarb, Ross, Woodcock and Guenther through CLS to falsely tout the virtue of owning and operating a CORF and in effect confirmed the mispresentations made by them to lure customers. None of the licensees were told that the referrals were being paid by CLS. From the inception of CLS in 2000 through June 2003, CLS received approximately $40 million. From this amount, Goldfarb received approximately $3.5 million, Ross received approximately $2 million, Woodcock, $4 million. Bonebrake was paid approximately $500,000, McHale received $300,000, Marshall and Ongaro approximately $750,000, Nibler received $600,000 to act as pitchmen for CLS. A conviction for Mail Fraud carries a maximum penalty of 20 years, a $250,000 fine or both; Conspiracy carries a maximum penalty of 5 years and a $250,000 fine or both; and a conviction for Money Laundering carries a maximum 20 years and a $500,000 fine or both to each count. In determining an actual sentence, the Judge will consult the U.S. Sentencing Guidelines, which provide appropriate sentencing ranges. The judge, however, is not bound by those guidelines in determining a sentence. The investigation preceding the indictment was conducted by the Special Agents of Criminal Investigation Internal Revenue Service, U.S. Postal Inspector and the FBI. The prosecution is being handled by Stephen W. Laramore, Assistant U.S. Attorney, District of Arizona, Phoenix. A Glendale man will serve more than four years in a federal prison for his role scamming investors in Valley medical facilities, while one of his associates from Surprise will serve a year and a half. The scheme also involved several other men, two of whom are scheduled to be sentenced on May 4, as well as a former CBS Radio executive from Texas. In a con worthy of a movie, except for the lack of a surprise ending, the group opened several respiratory and physical therapy centers in the Valley, selling investors on the idea that the business -- CORF Licensing Services -- was growing like crazy. The scheme's main players would hire smooth-talkers like Ongaro, the former radio exec, to exaggerate the franchise's potential to the investors. Ongaro reportedly took in a cool $750,000 for his troubles. All told, the con-men brought in $40 million from about 300 investors, says the U.S. Attorney's Office in Arizona. A tip from someone on the inside brought the operation down. I was one of the people scammed in 1999. I lost over $300,000. Which was all of the money I had in retirement and the equity in my home.We have still not recovered. I don't think a 41 month sentence is enough punishment. That dealership sure knows to to pick 'em. Weinzierl should have been nailed for promoting a pyramid scheme and much more in my opinion (the BBB case spells it out beautifully), but sadly law enforcement is so terribly understaffed and underfunded most of these guys slip through the cracks. Weinzierl is now working hand and hand at Boardwalk Auto Group with a true brother-in-scamming. Both lied, deceived and misrepresented to line their own pockets with hundreds of thousands of dollars terribly harming their trusting and honest victims. There is a special place in hell for scammers like these. Unbelievable that the owner and upper management would ever hire people with their backgrounds, much less put them in management positions. Sure, they are slick salesman, because they are experienced liars and scammers. That is what enabled them to rip of so many good honest people and continue to do so until the law caught up with them or the scheme imploded. Through successful business ventures and philanthropic endeavors, Scott K. Ginsburg has significantly contributed to Dallas over the course of his career. His business accolades include founding the largest radio broadcasting company and owning the largest Porsche facility in the nation. Presently, Scott K. Ginsburg is the Chairman of the Board and CEO of DG FastChannel, (NASDAQ: DGIT) the leading provider of digital media distribution services to the advertising and broadcast industries. Scott Ginsburg has helped to mold DG FastChannel into a prominent leader in its industry. Under his leadership the company has experienced astronomical growth. DG FastChannel ranked fifth on the 2009 Fortune Small Business list of the nation’s 100 fastest-growing small public companies. Scott K. Ginsburg’s entrepreneurial ventures have helped to shape Dallas’ business landscape. In 1997, he co-founded the nation’s largest radio broadcasting company, Chancellor Media Corporation (NYSE:AFM), with Tom Hicks of Hicks, Muse, Tate and Furst. Scott Ginsburg served as Chancellor’s Chief Executive Officer and a Director. 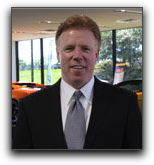 Scott Ginsburg began building Boardwalk Auto Group in 1998 when he brought Porsche to Plano, Texas. He has since added Audi, Volkswagen, Ferrari, Maserati and Lamborghini to the Boardwalk family, making the renowned dealer group the most impressive luxury dealership in the world. Scott K. Ginsburg recently acquired a Ferrari/Maserati dealership in San Francisco, CA, his first outside of DFW. Under Scott Ginsburg’s direction, Boardwalk Auto Group has achieved extraordinary success in nationwide sales and has been recognized for its customer service and sales expertise. Most notably, Boardwalk Auto Group was named the fastest growing privately held company in Dallas-Fort Worth by Southern Methodist University’s Cox School of Business and the Dallas Business Journal. He is a former Chairman of the IPC, a worldwide organization of health professionals dedicated to the treatment and cure of psoriasis, and is a member of Georgetown Law School’s Board of Visitors. Scott K. Ginsburg also served as a U.S. Senate Staff Director for two Senate subcommittees in Washington D.C.
Scott Ginsburg also dedicates time to the Dallas arts community. He has served on the boards of directors of the Dallas Symphony, the Dallas Arboretum, as well as the Greenhill and Shelton private schools. Scott K. Ginsburg earned his BA degree from George Washington University and his JD degree from Georgetown University Law Center. He is married to Gina Ginsburg and they have two sons. Scott K. Ginsburg also has two adult children. Where is Scott Ginsburg, the owner? Is he aware of Jack Weinzierl's background? Tim Darnell talks about the premise for his book Slay Your Giant. Let’s face it, many of the traditional ways to market are simply too costly and no longer effective. I have invested the past several years to learn what I know about online marketing, but that is not easily transferable and surely not duplicable. Your God’s name is “Mighty to Save”. He is robed in splendor, striding forward in the greatness of his strength. He speaks in righteousness. He is your God and He is my God. Jack Weinzierl is a results-driven online marketing executive based in Dallas, Texas. With over 23 years of successful marketing leadership, Jack Weinzierl is recognized for his SEO, SEM and Social Media expertise. Brand development, web site traffic growth, web site UI and advertising revenue. Developed brand strategy and complete SEO, social media strategy driving lead generation. Strategic Consulting, including business plan & sales strategy development. Brand development, web site traffic growth, web site UI and integration of our service and networking model for thousands of business partners. Responsible for developing the complete business plan and go to market strategy for this new enterprise. I was responsible for raising capital, forging exclusive distribution agreements, establishing a call center, all marketing initiatives, P&L responsibility, as well as selection and full integration with our Oracle system. Authored the company's 2001 corporate marketing plan, defined corporate vision and charted courses of action. Outlined objectives, strategy, mission, value proposition, SWOT analysis, target market, competition, research, financials and forecasts. Served as project manager for the 2000 shareholders report. Conducted interviews with executive team and brought project in on schedule and under budget by 20%. Publication was hailed as an outstanding success and was leveraged in recruitment and business development initiatives. Record of rapid promotion with this $25 million privately-held distributor of medical supplies (via catalog and E-Commerce) to the K-12, collegiate and professional athletic marketplace. Provided strategic, tactical and creative leadership across the marketing discipline to accelerate the business development pipeline. Responsibilities included website development, traditional/electronic marketing/promotions, strategic business partnering, and cross-functional team leadership. Developed high-profile marketing campaigns, integrating electronic media with traditional marketing tactics (catalogs, website, database marketing, direct mail, brochures, print advertisements). TheMarketLeaders was a freakin' social website with a laughable 8oo members. It was full of destitute and desperate MLM scammers that were associated with Jack or his victims from Advantage Conferences and / or his other numerous MLM scams. That site was started around February 2007 and was closed by Jack in 2009 as it was dead as a doornail and his string of MLM failures had sent him into chapter 7 bankruptcy in a desperate attempt to escape litigation and his angry victims. Notice scammer Tim Darnell, the founder and president of Advantage Conferences and loved dearly by Jack, is all over those pages. President of a social site with practically no traffic as one can see from the views of those Advantage Conferences videos Jack had plastered all over that dump? What a business accomplishment! Here is a press release about Boardwalk's owner Scott K. Ginsburg. That snake Weinzierl may just fit right in! On March 19, 2004, the United States Court of Appeals for the Eleventh Circuit reinstated a jury verdict against Dallas businessman Scott K. Ginsburg for insider trading in violation of the federal securities laws. The Court of Appeals also reinstated a $1 million civil penalty and ordered the district court to impose a permanent injunction from future violations. Ginsburg was originally found liable on April 16, 2002, when a federal jury in West Palm Beach, Florida found that he had engaged in illegal insider trading based on his tips to, and resulting trading by, his brother, Mark J. Ginsburg, and father, Jordan E. Ginsburg, in the common stock of EZ Communications, Inc., and Katz Media Group, Inc. The jury found that, in July 1996, Scott Ginsburg, then the chairman and chief executive officer of Evergreen Media Corporation, a publicly-held radio company, tipped Mark Ginsburg and Jordan Ginsburg with information that EZ was for sale and that Mark Ginsburg and Jordan Ginsburg purchased EZ stock prior to the announcement that EZ would be sold to another radio company. The jury also found that, less than a year later, in June 1997, Scott Ginsburg tipped Mark Ginsburg with information about the sale of Katz Media at a time when substantial steps had been taken by Evergreen and another entity towards a joint tender offer for the shares of Katz Media. The day after the tip, Mark Ginsburg purchased Katz Media stock. The SEC alleged that Mark and Jordan Ginsburg realized illegal profits of $1.8 million from their trading based on tips from Scott Ginsburg. After a seven-day trial, a jury found that Scott Ginsburg violated Sections 10(b) and 14(e) of the Securities Exchange Act of 1934 and Exchange Act Rules 10b-5 and 14e-3, which are antifraud provisions of the federal securities laws. The district court imposed a $1 million civil penalty, but declined to impose an injunction. In December 2002, on Ginsburg's motion, the district court threw out the jury verdict and the penalty, stating that the SEC had not presented sufficient evidence to support the verdict. The SEC appealed that decision as well as the district court's denial of injunctive relief. In reversing the district court, the Eleventh Circuit Court of Appeals held that the SEC had presented sufficient evidence at trial to support the jury's verdict against Scott Ginsburg and that the district court had abused its discretion in denying the permanent injunction sought by the SEC. The court of appeals also reinstated the $1 million civil penalty that the district court initially had ordered against Ginsburg. Prior to the trial of Scott Ginsburg in this case, on March 30, 2002, Mark Ginsburg and Jordan Ginsburg had settled the SEC's insider trading charges against them, without admitting or denying the SEC's allegations, by consenting to the entry of final judgments that included permanent injunctions, disgorgement, prejudgment interest and civil money penalties totaling over $4.7 million. The SEC acknowledges the assistance provided by The American Stock Exchange in certain parts of the investigation of this matter. For further information, please see Litigation Releases Nos. 17917 (January 7, 2003), 17482 (April 23, 2002), 17455 (April 4, 2002), and 16275 (September 9, 1999). My family went out to eat at a nice restaurant in Dallas and had our credit card number stolen. Some thief charged $1,800.00 worth of mesquite rodeo tickets. We found out almost immediately because any charge over a certain amount triggers an e-mail alert. But, just imagine what could happen to someone at a dealership with employees that have not been screened. They have your drivers license number the minute you take a test drive, then have access to your credit report. Jack Weinzierl and Tim Darnell used to troll at their churches for wealthy marks. Think what someone could do at a dealership with the kind of information they have easy access to. They will know just who to target and if that information gets in the wrong hands a customer could get really burned in any number of ways. With Weinzierl onboard at Boardwalk I sure wouldn't get near the place. Weinzierl bought a 1.23 million dollar mansion in Texas he could not afford in June 2007. He had $272,000.00 in unsecured debt in August 2008 in a chapter 7 bankrupcty he filed and quickly begged for dismissal from when the Department of Justice filed for special counsel and started demanding documentation. He left the bank holding the bag for over $500,000.00 when they had to foreclose on his house which he made payments for barely more than a year and then occupied for free for another year while the bank worked to get it foreclosed. I would be very worried about how desperate for money someone who spends so carelessly might be. The millionaire lifestyle is very hard to give up! Jack was tooling around in Mercedes, BMWs and Hummers on his ill-gotten gains. He and the whole clan dressed to the nines! I sure don't want to see any more victims funding his extravagant lifestyle! [PUBLISH] IN THE UNITED STATES COURT OF APPEALS FILED FOR THE ELEVENTH CIRCUITU.S. COURT OF APPEALS ________________________ ELEVENTH CIRCUIT March 19, 2004 No. 03-10848 THOMAS K. KAHN CLERK ________________________ D. C. Docket No. 99-08694-CV-KLR UNITED STATES SECURITIES AND EXCHANGE COM MISSION, Plaintiff-Appellant, versus SCOTT K. GINSBURG, Defendant-Appellee. ________________________ Appeal from the United States District Court for the Southern District of Florida _________________________ (March 19, 2004) Before EDMONDSON, Chief Judge, CARNES and DUHE *, Circuit Judges. CARNES, Circuit Judge: * Honorable John M. Duhe, Jr., United States Circuit Judge for the Fifth Circuit, sitting by designation. The SEC brought a civil action against Scott Ginsburg alleging violations of § 10(b) and § 14(e) of the Securities and Exchange Act, 15 U.S.C. §§ 78j(b), 78n(e), and accompanying Rules 10b-5 and 14e-3, 17 C.F.R. §§ 240.10b-5, 240.14e-3. The allegations were that Ginsburg had communicated material nonpublic information to his brother Mark Ginsburg and to his father Jordan Ginsburg regarding EZ Communications, Inc., and Katz Media Group, and that Mark and Jordan had traded on EZ stock using that information.1 The case was tried to a jury which found that Ginsburg had violated the insider trading provisions. The district court initially ordered him to pay $1,000,000 in penalties but denied the SEC’s request to enjoin him from violating securities laws in the future. Later the district court granted Ginsburg’s renewed motion for judgment as a matter of law and vacated the judgment against him, because it concluded that the evidence was insufficient to permit a reasonable jury to find that he had tipped off his brother or father about inside information. The SEC appeals from that judgment as a matter of law, and also contends that if we reverse it, we should direct the district court to enjoin Ginsburg from violating securities laws in the future. In addition to defending the district court’s 1 Throughout this opinion, we will refer to Scott Ginsburg as “Ginsburg” and will refer to his father and brother by their first names. We do so not out of disrespect or to imply familiarity, but for ease of reference and to avoid confusion. 2 judgment on the specific insufficiency of evidence ground given for it, Ginsburg offers two other grounds for affirming it. First, he contends that even if the evidence is sufficient to show he communicated insider information to Mark or Jordan, it is insufficient to show the information’s materiality. Second, he contends the evidence is insufficient to show substantial steps were taken toward a tender offer of Katz, and Ginsburg’s knowledge of the tender offer. Finding merit in the SEC’s position and none in Ginsburg’s, we conclude that the judgment is due to be reversed, the civil penalty reinstated, and an injunction entered against future violations of the securities laws by Ginsburg. I. FACTS The nature of a judgment as a matter of law and our review of it is such that we take the evidence at trial in the light most favorable to the party who won before the jury only to have its victory taken away by the court. Russell v. North Broward Hosp., 346 F.3d 1335, 1343 (11th Cir. 2003). We draw from the evidence all reasonable inferences in support of the verdict, because the jury could have done so. United States v. Gregory, 730 F.2d 692, 700 (11th Cir. 1984). A. EZ TRANSACTIONS AND CALLS Ginsburg was chairman and CEO of Evergreen Media Corporation, which owned and operated a number of radio stations. In 1996 Evergreen became 3 interested in acquiring EZ, a corporation that owned radio stations. Ginsburg met with EZ’s CEO Alan Box on Friday, July 12, 1996, and Box told him EZ was considering several “strategic alternatives.” Before the meeting no decision had been made to sell the company. On Sunday evening, July 14, Ginsburg called Mark at 10:02 p.m., and they spoke for 26 minutes. The next day, M onday, July 15, M ark bought 3800 shares of EZ stock. Mark spoke with Jordan in person and on the telephone over the next few days, and they admit they discussed the purchase of EZ stock. On July 15, EZ’s investment banker called Ginsburg and they discussed the possibility of Evergreen submitting a bid on EZ. Ginsburg asked to be sent a confidentiality agreement that he could sign in order to receive financial information about EZ. He received the confidentiality agreement on July 16. That same day Jordan purchased 20,000 shares of EZ. After signing the confidentiality agreement, Ginsburg received the financial information about EZ on July 17. On July 18, a four minute telephone call was placed from Ginsburg’s office to Mark’s home. On July 24, EZ’s investment banker faxed a letter to Ginsburg stating that EZ bids were due by July 26. At 7:40 a.m. July 25, a call was placed from Ginsburg’s cell phone to his parents’ home. Later that day Mark purchased 3200 4 shares of EZ stock for Mark and his wife’s joint account. On July 26, Mark purchased 4300 shares of EZ stock for the same joint account and 7500 shares for a trust account for his son. Also on July 26, Ginsburg, on Evergreen’s behalf, submitted a written offer to acquire EZ for cash and stock. On Sunday, July 28, a ten minute call was placed from Ginsburg’s home to Mark’s home. On Monday, July 29, Jordan bought 5000 shares of EZ stock, and an hour later Mark bought 30,000 shares. Evergreen’s bid for EZ ultimately fell through, but on August 5, 1996, EZ announced its merger with another radio company, at which time the price of EZ stock rose 30%. Between July 15 and July 29, Mark had bought 48,800 shares of EZ and Jordan had bought 25,000 shares, which increased in value $664,024 and $412,875 respectively by August 5, 1996. B. KATZ TRANSACTIONS AND CALLS In early 1997, Ginsburg’s company, Evergreen, was in the process of merging with Chancellor Broadcasting. On March 20, 1997, Ginsburg attended a meeting with senior executives of Katz Media Group and Hicks, M use, Tate, & Furst, an investment firm that owned a majority interest in Chancellor Broadcasting, at which a possible acquisition of Katz by Chancellor was discussed. Tom Hicks, Chairman and CEO of Hicks, Muse, appointed a due diligence team 5 headed by Ginsburg. A confidentiality agreement was executed April 7, 1997, and due diligence began. On June 16, 1997, Stuart Olds, a Katz executive, met with Ginsburg. Olds encouraged Ginsburg to call Katz chairman Tom Dean to discuss the purchase of Katz. Olds also told Ginsburg that Katz was having discussions with other companies and Ginsburg would have to act quickly. That same evening, June 16, a call was placed from a cell phone registered to Ginsburg to a phone registered to Mark. The next day, June 17, Mark bought 150,000 shares of Katz. On July 14, Evergreen/Chancellor announced it would acquire Katz through a tender offer for Katz stock at $11 a share. On July 16 or 17, 1997, Mark sold 132,500 shares of Katz and tendered the rest, resulting in a total profit of $729,000. II. STANDARD OF REVIEW We review a decision to grant a motion for judgment as a matter of law de novo, applying the same standards used by the district court. SEC v. Adler, 137 F.3d 1325, 1340 (11th Cir. 1998). A judgment as a matter of law is warranted only “[i]f during a trial by jury a party has been fully heard on an issue and there is no legally sufficient evidentiary basis for a reasonable jury to find for that party on that issue.” Fed. R. Civ. P. 50(a)(1). That means, as we have already said, that we review the evidence, and the inferences arising therefrom, in the light most 6 favorable to the non-moving party. We “may not weigh the evidence or decide the credibility of witnesses.” Adler, 137 F.3d at 1340. However, the nonmoving party “must provide more than a mere scintilla of evidence to survive a motion for judgment as a matter of law.” Isenbergh v. Knight-Ridder Newspaper Sales, Inc., 97 F.3d 436, 439 (11th Cir. 1996). We review denial of equitable relief for abuse of discretion. Preferred Sites, LLC v. Troup County, 296 F.3d 1210, 1220 (11th Cir. 2002). Any factual findings made by the district court with regard to its denial of an injunction are reviewed for clear error. Id. III. DISCUSSION A. JUDGMENT AS A MATTER OF LAW 1. Sufficiency of Evidence that Ginsburg Tipped Mark or Jordan In order to establish liability under § 10(b) and § 14(e) of the Securities and Exchange Act and accompanying Rules 10b-5 and 14e-3, the SEC must prove that Ginsburg acted with scienter, “a mental state embracing intent to deceive, manipulate, or defraud.” SEC v. Adler, 137 F.3d 1325, 1340 (11th Cir. 1998) (quoting Aaron v. SEC, 446 U.S. 680, 695-96, 100 S. Ct. 1945, 1955 (1980)). Scienter requires that the insider (or tippee, if the trader is not the insider) possess material nonpublic information at the time of the trade. Id. at 1340. In addition, it 7 requires that the material nonpublic information be used in a trade. Id. Proof of knowledge of such information at the time of a trade “gives rise to a strong inference of use.” Id. The SEC must prove violations of § 10(b) and § 14(e), and their supplementary Rules, by a preponderance of the evidence, and may use direct or circumstantial evidence to do so. Herman & MacLean v. Huddleston, 459 U.S. 375, 390 & n.30, 103 S. Ct. 683, 691-92 & n.30 (1983). “Circumstantial evidence has no less weight than direct evidence as long as it reasonably establishes that fact rather than anything else.” Burrell v. Bd. of Trustees of Ga. Military College, 970 F.2d 785, 788 (11th Cir. 1992). The parties disagree about which body of precedent controls the sufficiency of the evidence issue upon which the district court granted judgment as a matter of law. The sufficiency issue in general involves the circumstances in which it will be inferred from A’s act following a conversation with B, who knew a given fact, that A had been informed of that fact when he acted. As it arises in insider trading cases, the more specific issue is when it may be inferred from a trade in stock by A, following a conversation with insider B, that B disclosed inside information to A who acted upon it. The SEC argues, logically, that the sufficiency of the evidence and the permissibility of inferences that may be drawn from the evidence in this 8 insider trading case are governed by our insider trading decisions, especially SEC v. Adler, 137 F.3d 1325 (11th Cir. 1998), which is the closest of those cases to the facts we have here. Ginsburg argues, and the district court concluded, that four employment retaliation decisions, which he views as inconsistent with Adler on the issue of what may be inferred from conversations of an actor with one in the know, control instead. See Burrell, 970 F.2d 785 (11th Cir. 1992); Clover v. Total Sys. Servs., Inc., 176 F.3d 1346 (11th Cir. 1999); Brungart v. Bellsouth Telecomm., Inc., 231 F.3d 791 (11th Cir. 2000); Brochu v. City of Riviera Beach, 304 F.3d 1144 (11th Cir. 2002). The last three of those employment decisions cannot possibly trump Adler to the extent of any inconsistency. Where prior panel decisions conflict, we follow the first one released, Cohen v. Office Depot, Inc., 204 F.3d 1069, 1072 (11th Cir. 2000) (“where two prior panel decisions conflict we are bound to follow the oldest one”); United States v. Dailey, 24 F.3d 1323, 1327 (11th Cir. 1994) (where there is an intra-circuit conflict, “the earliest panel opinion resolving the issue in question binds this circuit until the court resolves the issue en banc”), and Adler came out before any of those three decisions. However, Burrell, one of the four employment decisions that Ginsburg cites, and upon which the district court relied to award him judgment as a matter of law, 9 preceded Adler. If an evaluation of the sufficiency of the evidence should not take into account the specific factual context from which that evidence arose, then we would be bound to follow Burrell and disregard Adler to the extent of any inconsistency. But it should, so we are not. This is what we are talking about. Decision maker A comes into contact with information possessor B and soon thereafter engages in conduct C. When will that factual scenario support an inference that, despite their denials, A was told the information by B and on that basis A did C? More to the point, does an earlier decision of this Court concluding that scenario would not support an inference the information was communicated and acted upon in an employment retaliation case, compel us to conclude that the same scenario would not support an inference of communicated information and action based upon it in insider trading cases? We think the earlier employment retaliation decision in Burrell does not control this case, because insider trading cases are different from employment retaliation cases. The context in which the facts arise and the strength of the competing inferences can differ. As a result, evidence that may appear to be materially identical for purposes of determining whether a decision maker knew a particular fact can actually have different probative force in an insider trading case than in an employment retaliation case. 10 There are many sound, non-retaliatory business reasons to take some job action that is challenged as retaliatory. That multitude of potential reasons dilutes the strength of any inference that because a decision maker took an action against an employee he must have been told of a fact which could have led him to take the action for a prohibited reason. By contrast, people do not make large stock trades for as many reasons as businesses take job actions. Although there are exceptions, people generally buy when they believe the price of a stock is going up and sell when they believe it is going down (either absolutely or relative to the expected performance of other stock). The factfinder in an insider trading case need only infer the most likely source of that belief. The temporal proximity of a phone conversation between the trader and one with insider knowledge provides a reasonable basis for inferring that the basis of the trader’s belief was the inside information. The larger and more profitable the trades, and the closer in time the trader’s exposure to the insider, the stronger the inference that the trader was acting on the basis of inside information. The magnitude of the incentive to trade on insider information is illustrated by the trades that were made in this case. In less than a month Jordan made $412,875 by trading EZ stock in the direction someone with knowledge of the insider information his son possessed would have, and Mark made a total of $1,393,022 11 by trading EZ and Katz stock as someone privy to the insider information of his brother would have. It is not at all clear that the same considerations apply with equal force in job discrimination cases. The inference that a job action was based on a retaliatory motive which arose from imparted information may well be weaker than the comparable inferences in insider trading cases for several reasons. For one thing, the incentive to tip and to act on tipped information is usually a great deal stronger than the incentive to impart and act upon information about an employee engaging in legally protected conduct. We expect that most people would rather make $412,875 or $1,393,022 in a short period trading stocks than they would like to see an employee be punished for something the employee had a legal right to do. Because it is far from clear that employment retaliation cases are interchangeable with insider trading cases, the district court should have looked to the more specifically applicable precedent instead of regarding it as wrongly decided in light of decisions that had nothing to do with insider trading. Cf. Rodriguez de Quijas v. Shearson/Am. Express, Inc., 490 U.S. 477, 484, 109 S.Ct. 1917, 1921-22 (1989) (“If a precedent of this Court has direct application in a case, yet appears to rest on reasons rejected in some other line of decisions, the Court of Appeals should follow the case which directly controls, leaving to this Court the 12 prerogative of overruling its own decisions.”). It is insider trading decisions, instead of employment retaliation cases, to which we will look for guidance in deciding this case. In the Adler insider trading case, Richard Adler, an outside director of Comptronix Corporation, attended a November 15 board meeting at which he was asked to investigate the activities of two Comptronix executives for potential fraud. Adler, 137 F.3d at 1329. The next day, November 16, Adler’s friend and associate Harvey Pegram called Adler’s home at 7:53 a.m. The call lasted 72 seconds. At 7:55 a.m. Pegram called his wife at home. At 8:07 a.m. Pegram’s wife called their stockbroker and placed an order to sell 50,000 shares of Comptronix, and over an eight-day period beginning with that telephone call they sold a total of 150,000 shares. On the evening of November 16 at 8:02 p.m., Pegram called his business associate Philip Choy in Hong Kong. At 9:39 p.m. Choy faxed his stockbroker an order to sell 5000 shares of Comptronix. Another associate of Pegram, Domer Ishler, called Adler on November 15 and again on November 23. On November 24, Ishler purchased 300 put options on Comptronix stock. On November 25 Comptronix announced that certain officers had been suspended for overstating gross profits, and Comptronix common stock lost 72% of its value. Id. at 1329.